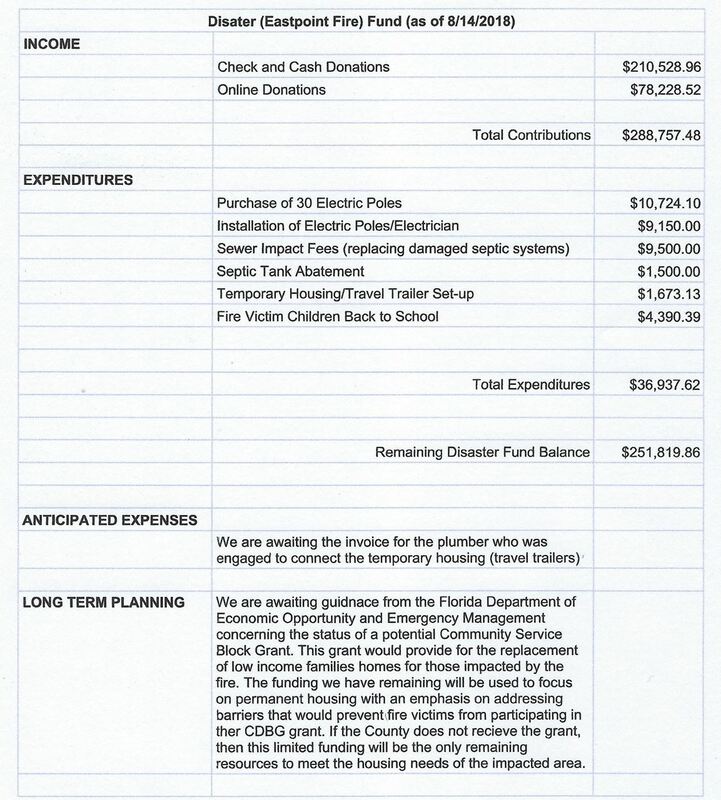 to provide immediate relief to our coastal communities. and can move quickly to address individual needs. to ensure every penny donated goes to the impacted victims. our priorities will be to support families with children and senior citizens. Any donations will go to support response and recovery. Recovery Update: Over 280 people were impacted by the Limerock Wildfire. 84 people lost their homes. 77 school children and 11 children under 3 years old were among the fire victims. 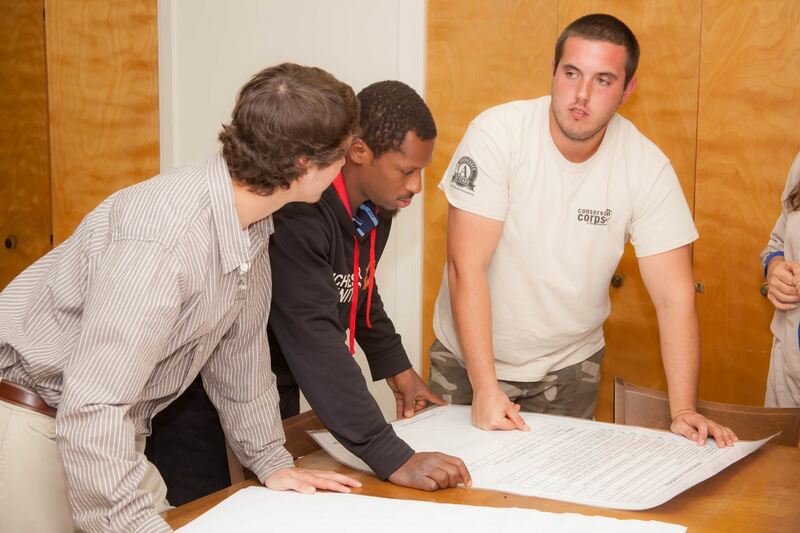 The funds donated to Franklin's Promise Coalition are focused on housing, both temporary and permanent. 30 new power poles were purchased and installed to ensure families have electricity and a plumber has been engaged to reconnect water and sewer. 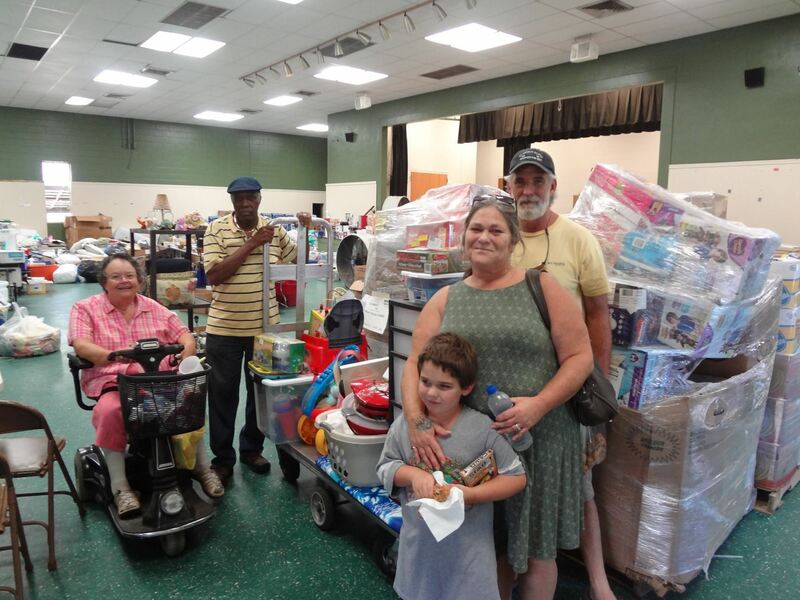 The manufactured homes provided by the Franklin County Sheriff's Department as well as the temporary travel trailers have been stocked with donated items such as kitchen supplies, sheets and towels, pillows and blankets, personal items and cleaning supplies. Incredible volunteers have worked long hours to sort and pack move-in ready kits for the future housing. Donated goods are distributed directly to the families in the impacted neighborhood every three days by volunteers. A "Back to School" Family adoption initiative was completed to ensure the impacted students were ready for school. Thank you to all of the donors and volunteers. Since 2003, Franklin's Promise Coalition has ensured that the area's children are not without for the holidays. In 2009, the TOY Project was began to unify the entire county. Since then over 600 children are provided supplemental gifts including books, toothpaste/brushes and toys. We are registered and in compliance with all solicitation requirement with the State of Florida and the IRS. A COPY OF THE OFFICIAL REGISTRATION AND FINANCIAL INFORMATION MAY BE OBTAINED FROM THE DIVISION OF CONSUMER SERVICES BY CALLING TOLL-FREE WITHIN THE STATE. REGISTRATION DOES NOT IMPLY ENDORSEMENT, APPROVAL, OR RECOMMENDATION BY THE STATE, FDACS's toll-free number is 1-800-HELP-FLA (435-7352). 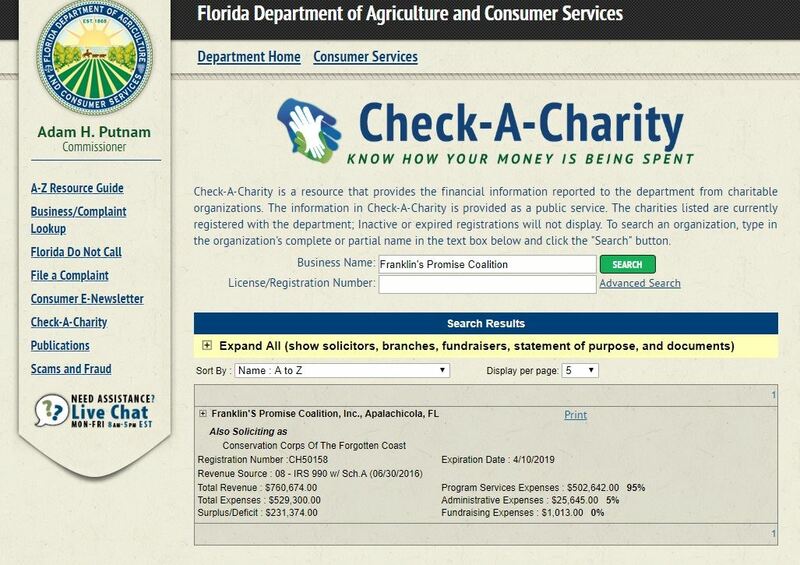 The FDACS website is www.800helpfla.com.